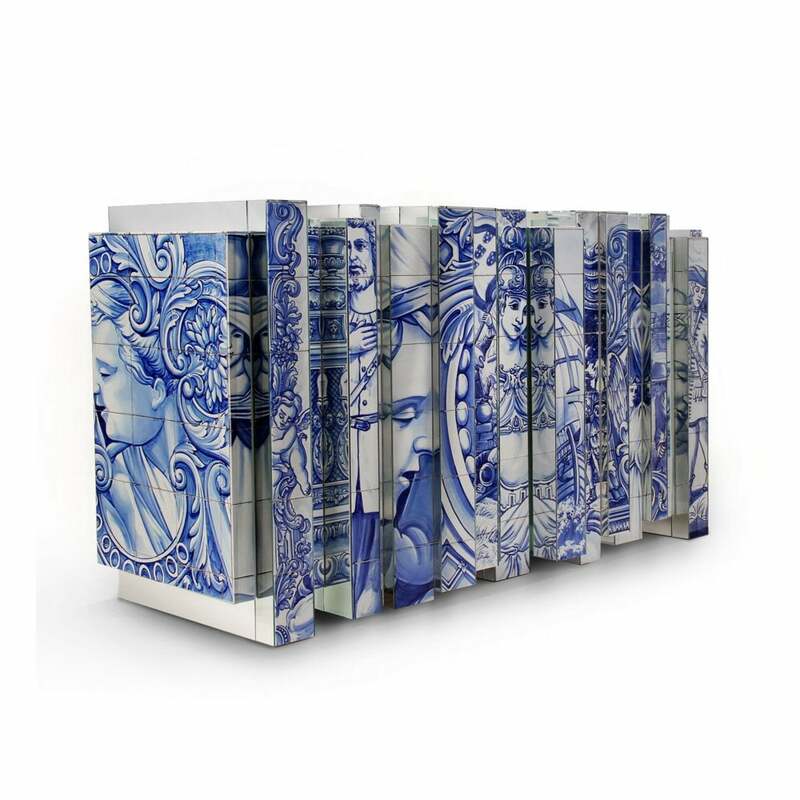 After a huge success with Heritage Cabinet and its honour to the hand painted tiles Portuguese history, Boca do Lobo, Limited Edition presents a Heritage Sideboard. This Heritage sideboard version present you a different number layers, were each one tell you different story. You will have an Heritage going through different times and centuries, together in a final panel. In the different layers you will find different tiles paintings inspired in different periods of Portuguese history taken from different historic buildings like convents or old colleges. Inside this sideboard you will find a gold leaf interior that will make you remember the historical buildings referred before, which normally presented interiors with a lot of ornaments and gold. With Heritage Sideboard tales still coming with tiles.